RICOH LETS USERS EXPERIENCE 360 CAMERAS HOW THEY ARE MEANT TO BE – IN 360! The National Association of Broadcasters Expo in Shanghai is an opportunity for companies around the world to showcase their latest technologies and solutions to media professionals in the broadcast and digital fields. 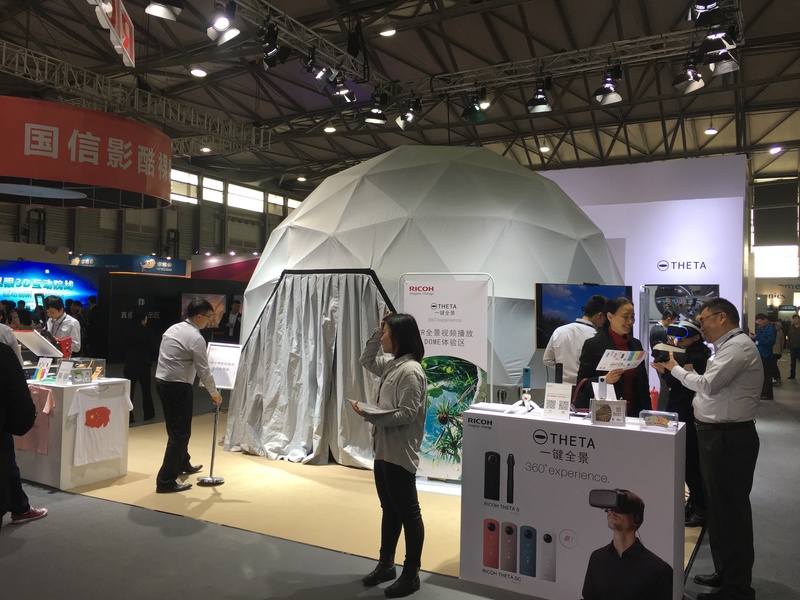 Ricoh chose the NAB Expo to launch the new Theta SC, pocket-sized 360° camera, and to show the Theta in all its glory Ricoh chose Fulldome.pro. 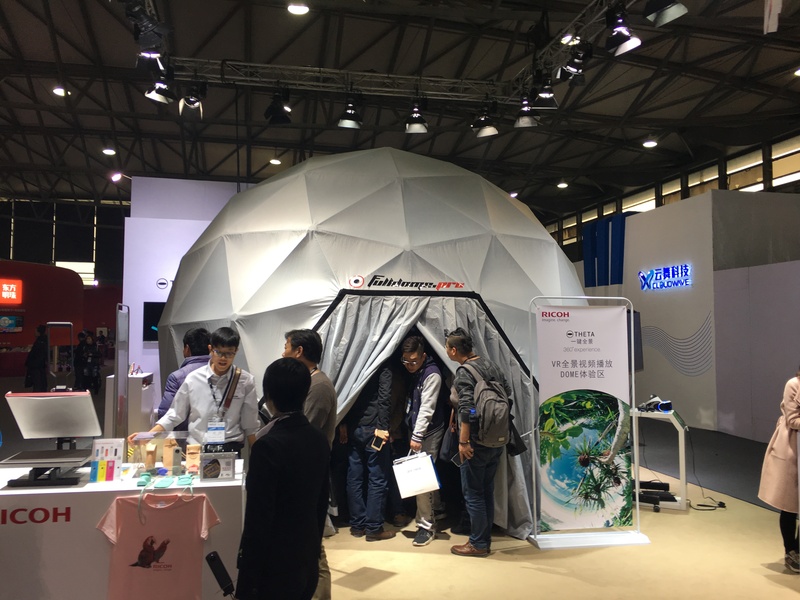 Our 5 meter portable dome allowed visitors to the Ricoh booth at NAB to step inside the picture, to experience scenes and video from the cutting-edge Theta cameras without headsets and with friends. 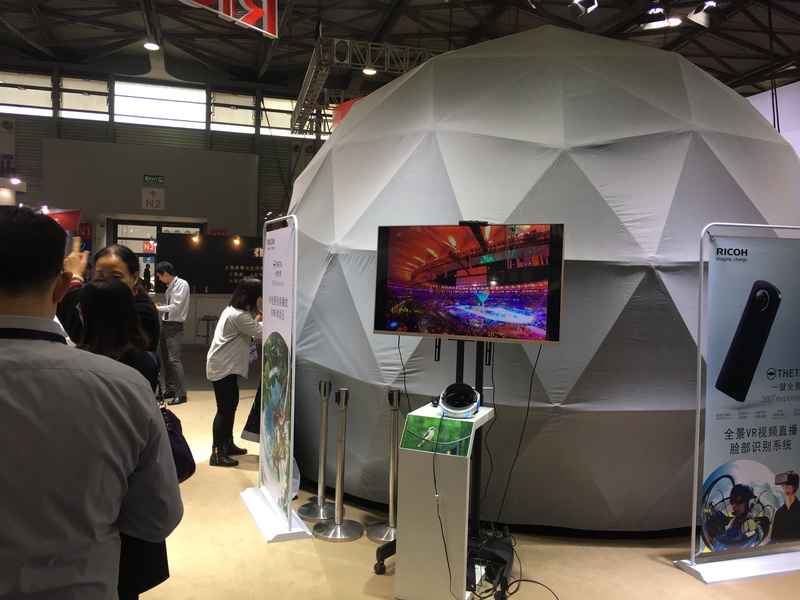 Fulldome.pro & Ricoh – creating shared, social, immersive experiences.